I have been excited about this for weeks – and can’t quite believe that tomorrow I am going to Göteborg to meet with Kerstin Olsson. For those of you who don’t know, Olsson was one of the group of talented and accomplished women who designed for Bohus Stickning, and the Wild Apple (above) is perhaps her most familiar and admired yoke design – indeed, it is a design that to many, including myself, seems iconic of the Bohus aesthetic itself. The Wild Apple is the only piece of knitting that, from a photograph only, moved me to tears when I first encountered it a few years ago. I still find the design breathtaking and really inimitably beautiful and who would have thought that, seven years after seeing a picture of this incredible yoke, I would be going to Sweden to meet its designer in person! I will be spending several days there, and will also be traveling up the coast to visit the Bohuslans museum. Ye gods! Thankyou all so much for your wonderful comments and messages in response to my last post. I have been really moved by many of your memories, and am so grateful those who have shared ideas, suggestions, and information. There is so much food for thought in what you say, and for those who have written to me, if I haven’t yet responded by email, I shall do so shortly when I return from Sweden. I have been particularly interested to read your remarks about fit and sizing, and I certainly spent a long time musing on such matters myself before and during work on these designs. Though many may feel that a yoke is never for them, I have aimed to ensure that several different kinds of yoke, involving several different sorts of shaping, are represented in the collection. 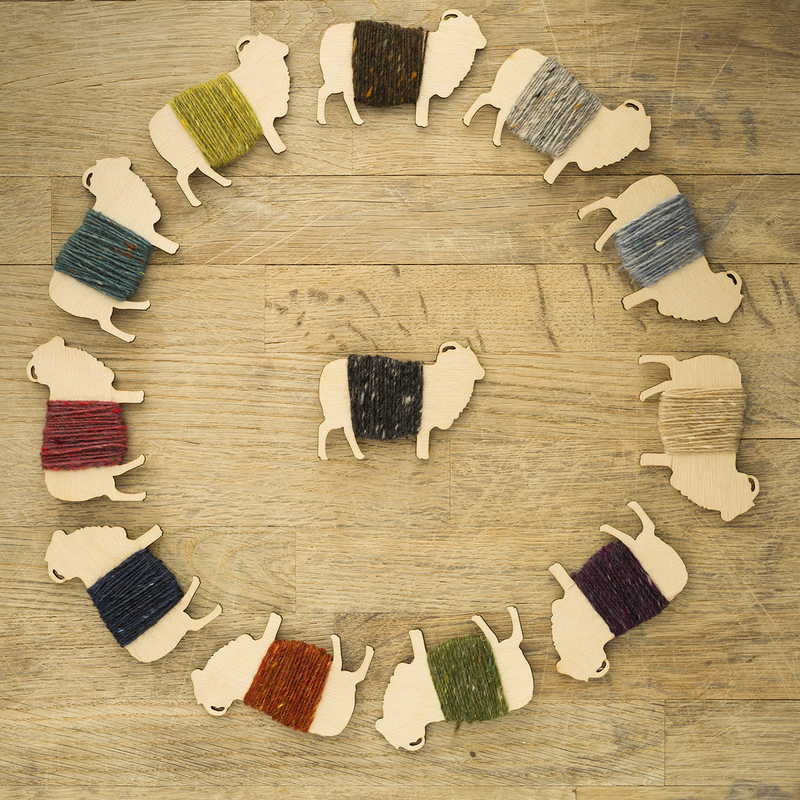 In the book you’ll find deep yokes, shallow yokes, colourful yokes, single colour yokes, boat necked yokes, scoop necked yokes, yokes shaped with short rows, yokes involving colourwork, cables or beads. . . . would you like a teaser?
. . . that’s Mel pouring me a cup of tea at the lovely Courtyard Cafe in Fintry where we held today’s photoshoot for a couple of the designs. I have just purchased the manu pattern to create when my current wips are finished! Yokes leave me witha cold chill! I remember the 70’s with yoke jumpers a bit like the emu pattern! But the pic of a lady pouring tea is exquisite! I may be sold!! Kath. Now i have found your site i watch for more info! Kate, I haven’t visited your blog for yonks but it is always a pleasure to come back. I wanted you to know that I have nominated you for the “One Lovely Blog Award”. I’m sure you get nominated for this sort of thing all the time and will probably groan with frustration when you read this. Please don’t feel obliged to participate. You are so frantically busy but I just wanted you to know that I gave you the nod. Just bask in the glory and I hope that you get more readers – not that you need them ! I am happy for you, Kate! You deserve it with all your hard work. Kerstin Olsson has been one of my knitting heroes since I first read Poems of Color – I can’t tell you how glad I am that you are going to meet her. Eagerly anticipating both your report on your Swedish journey and the Yoke Book. Bon voyage! Well, must just be me then…. I prefer a clear crisp pattern on a Fair Isle pattern. ( not sucking up) but I think any of your patterns are better than this one. 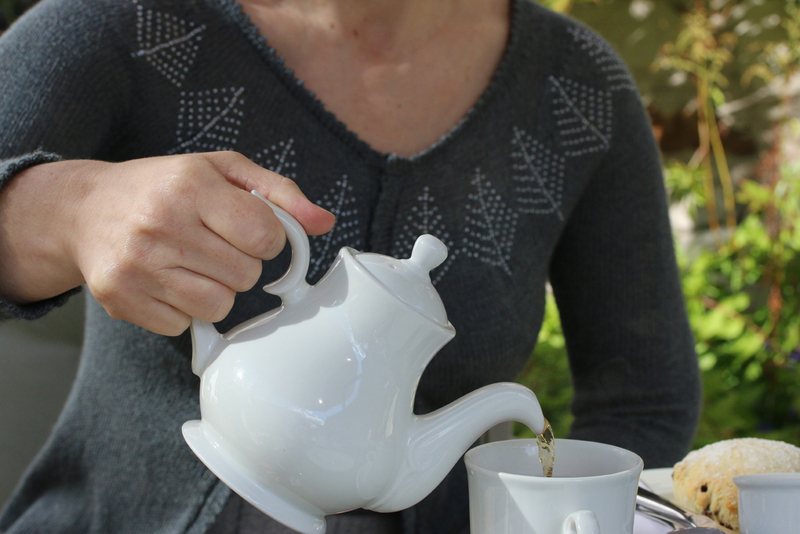 What a magnificent experience – the Wild Apple is on my dream-knitlist, and Bohus designs are all beautiful. I love yokes, and after seeing your teaser picture, I cannot wait to see your book. This definitely sounds like a must have book!!! Have a lovely time in Sweden and thank you for the gorgeous teaser picture!!! I love the teaser photo! The teaser pic made my heart go pitter pat. I can’t wait to see the whole book. Hope you’re having fun in Sweden. Have a wonderful trip. The Yokes book looks like it’s going to be stunning – can hardly wait! I’m of the larger-shouldered persuasion & thought yokes might not be for me, but you just instantly changed my mind with that cardigan. Fantastic :) Very much looking forward to the Swedish post! Have a great time. Excited anticipating your new book on yokes Kate and most envious that you are travelling to Sweden to meet with Kirstin Olsson. Wow! That will be breathtaking in itself to meet with Kerstin Olsson and see those remarkable designs. Good luck and enjoy! I can’t tell if those are picots or beads on the neckline. I’m betting some kind of picot. Can’t wait to see. Have fun. Color me green with envy. I was just in Gothenburg visiting Solveig Gustafsson, a master dyer and the owner of Solsilke, who re-created 65 Bohus after the original charts, painstakingly recreating all those gorgeous colours. Sjhe collaborates with Kerstin Olsson and the Bohusläns Museum. She also has a fabulous original Bohus collection!Will you meet her too? I wish you a wonderful trip to Sweden! And I am looking forward to your new book :-). I love your designs! I really like the above design with the trees….. great for fall, Christmas alternative to the usual snowflakes or even for spring. Like many of your readers the women in my family are not crazy about yolk designs as we are all full busted but vary in height from 4 ft.11 3/4 inches to 5 ft. 6 inches. Our torsos range from “hour glass” to rectangle. There are four of us: two knitters and two non knitters. The two of us who do knit constantly assess patterns for their usability for each of us; a collection of patterns must have a45-50 of usable patterns before we buy it. We are very interested to see this new collection and the variations you will have. I am so excited for you! Have an amazing time. Ok I’m a little jealous too!! The yoke photo is Breathtaking! I can’t wait for your book. You had me at “boat neck”! Oh, I thought the cardigan of the last picture was gorgeous… Looking forward to see the new book! enjoy your stay in Sweden and come back with lots of new pictures and ideas ! How exciting! Have a wonderful time! I love that beaded cardigan, it’s like an elegant and restrained riff on the Christmas sweater. Though it would work all year round. I am so excited about your new book. Do you know when we can expect to get it in our hands? I have knitted one of your sweater designs and so looking forward to another one. The teaser you gave us is just that. Can’t wait! Have fun on your adventure! What a treat to meet such an incredible designer! I wanted a Bohus sweater so badly as a young girl living near Stockholm but my parents didn’t want to spend the money on someone who had just started that incredible growth spurt. I splurged on a kit for wristers in Forest Darkness but am amazed at the skill level of the original knitters. Enjoy your trip! How lucky you are to meet Kerstin Olsson! Selfishly, I hope you will share some of that meeting with us. Safe and happy travels to you! p.s. Love the sneak peeks! That sweater is stunning. I LOVE it. Have a great time, whatever the weather, in Sweden. I’m so excited about the book and yokes! Just took a trip down memory lane by putting “puffin sweater” in your search bar, and saw old posts I’d long forgotten. Didn’t realize I had been following you for so many years! And now another book, a yoke book is in the making. Wonderful, will it be available in the States? I wish you an exciting trip, loads of photos to share and are you taking pre-orders for what sounds like a must-buy book? I have been privileged to meet Kerstin a couple of times and she is a lovely and kind person. As you might suspect from her knitwear, her artwork in other media is also very inspiring. Have a wonderful trip. That’s amazing! I can’t wait to hear all about your meeting! Your new yoked cardigan design looks lovely.! Enjoy Sweden! That’s a wonderful teaser! The thing with yokes is that I always have a problem with the choice of colours. I often wear sweaters in a single colour and sometimes yokes, like your puffin sweater, don’t seem to be able to be knit in other colours. Or the contrast seems to be too big, so it can only be worn with a jeans (yes, I’m a bit crazy about too much colours in sweaters) Luckily there is ravelry with lots of projects so in time others see it and knit other colours to give me the inspiration and courage to change colours. It would be great to have suggestions on colours, lot of contrast, etc. Loving the wild apple design, the colours are so beautiful, perefct for autumn. Thank you for the sneak preview of the yokes – waht a beautiful design – am so looking forward to seeing the whole collection. Heavens to murgatroid, just when you think you have a grasp on knitting styles, another one pops up that you can’t believe you missed. What a spectacular sweater! It’s like finding great local hikes and then hearing about the Pacific Crest Trail, and then finding out about the West Highland Way! It’s like mission creep for hiking and knitting, if you see my parallel. Please take note of the Swedish countryside and if you have time, include that in a post. We plan on a hiking trip in either Norway or Sweden. We don’t know anything about either place. Does one have a stronger knitting presence than the other? It’s Nobel winner Dorothy Crowfoot Hodgkin wearing a great-looking Shetland yoke. Gotta love a confluence of groundbreaking female scientists and knitwear! Can’t wait to see the rest of the designs! This one is stunning!! 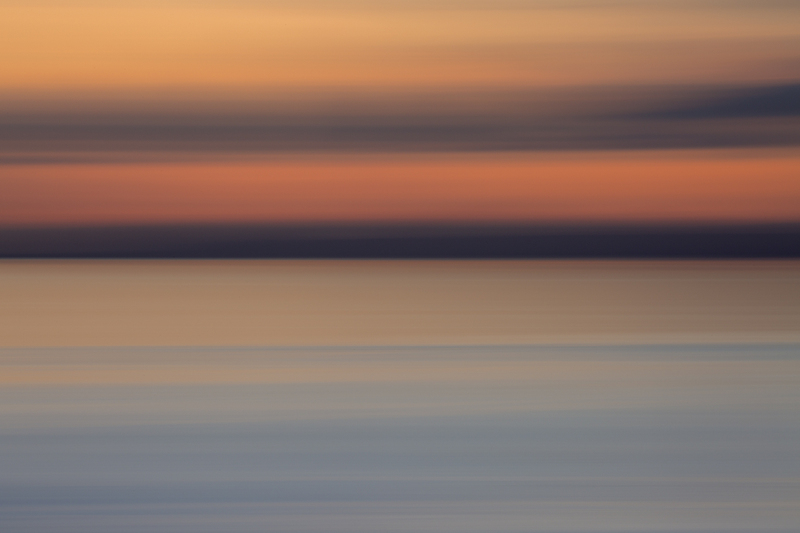 Enjoy Sweden and the inspiration. The Wild Apple is indeed iconic. So very beautiful. I envy you the chance to see more Bohus in person. And t meet Kerstin Olsson. Love the sneak peak sweater, also. Very clever teaser. After visiting Copenhagen this summer I think Sweden is next on my list. Enjoy your trip and tell us about any hidden gems you find. When I graduated from high school my mother made four yoked sweaters for myself and three friends. My still best friend (70 years of friendship) has hers yet. 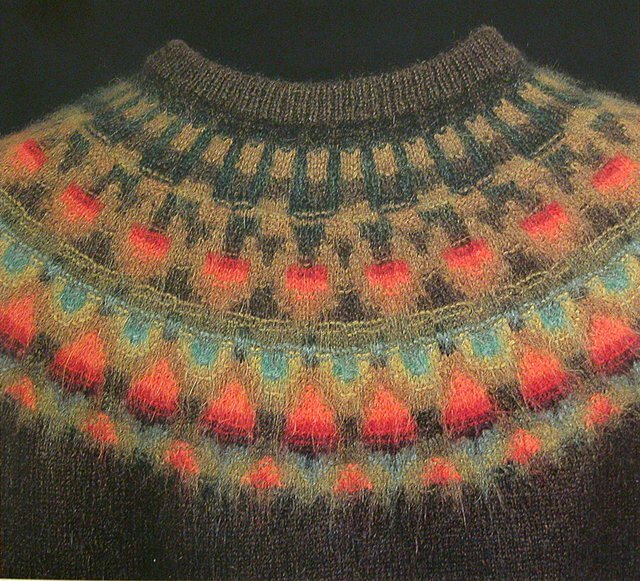 I have a lovely book of the history of the Bohus sweaters. Oh dear, are you coming Here tomorrow? Will you be doing any teaching or something like that, or is it a strictly private trip? I do hope the weather will clear up. We’re having lots of rain and wind at the momen up in Stockholm. Very excited to see your “teaser”, and so glad your yoke book will soon be available. 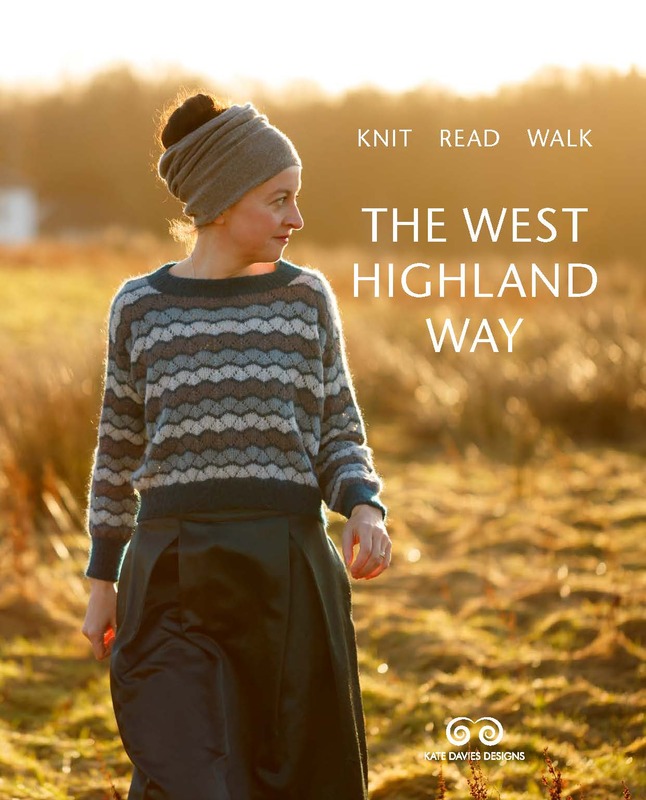 I have been thinking of knitting a yoked sweater for quite a while…I’m sure your book will be great inspiration to get moving on a new project! Have a wonderful time in Sweden; it sounds marvelous. Have a great trip, can’t wait to see the pictures. Very excited about the new designs. Enjoy your well deserved trip to Sweden. I once spent a summer there bike touring the country north of Stockholm. Now knowing what I do about knitting I wish I would have planned our bike trip more around fiber. That photo is stunning and I more curious than ever to what you have up your knitting needles. I must say I love the suspense of it all, Kate! The trip to Sweden sounds delightful. Do enjoy yourself! And that teaser pic is all I need to know I’m going to purchase the book. I’m really looking forward to it. Beautiful neckline, very feminine, a style I think would suit many. Looking forward to your new book. Ooh -what a fine looking cardigan. Now I can’t wait to see the whole thing. This looks gorgeous – I just knew your yokes would be a bit different!! I love the Bohus Stickning work! Thank you so much for posting this! Can’t wait for this book! Have a great trip! Take lots of pictures! And a link for that museum would be awesome! Have a wonderful trip Kate. I do envy you.